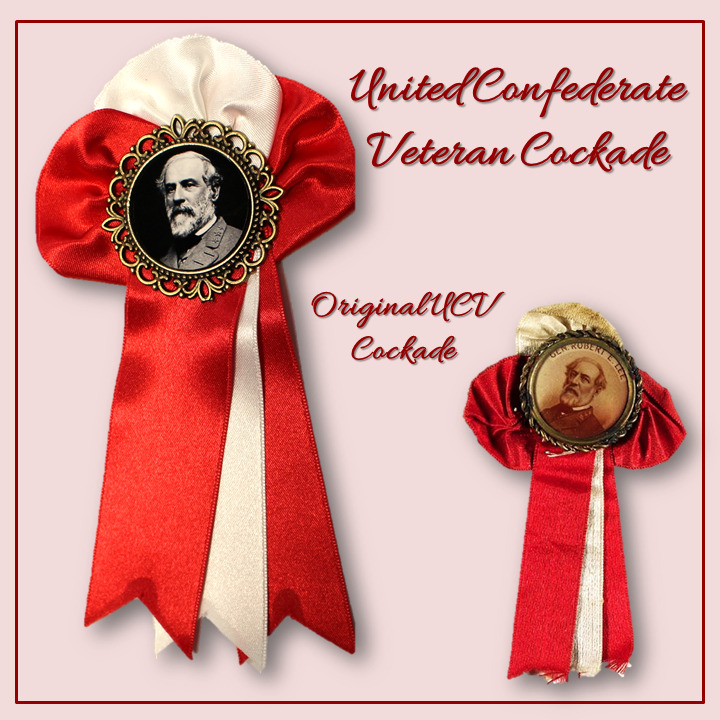 Based on original United Confederate Veteran cockades, this beautiful badge features General Robert E. Lee in the center. (Let me know directly if you'd like a different Confederate hero.) Approximately 2.5" across rosette. 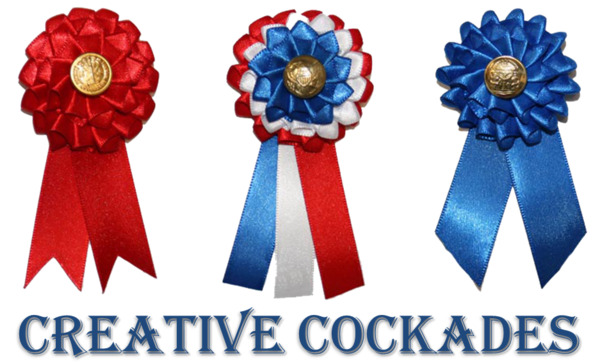 Streamers are approximately 3" long. The United Confederate Veterans Association was formed in 1889. It was founded to serve as a benevolent, historical, social and literary association. The UCV was active well into the 1940s. Its final reunion was held in Norfolk, Virginia, in 1951. 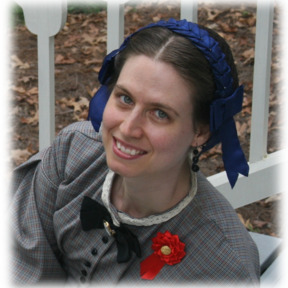 The primary functions of the organization were to provide for widows and orphans of former Confederate soldiers, preserve relics and mementos, care for disabled former soldiers, preserve a record of the service of its members, and organize reunions and fraternal gatherings.